In a year of real treats for historic aviation enthusiasts, the legendary de Havilland Comet ‘Grosvenor House’ has been returned to the skies. More on this aircraft and its victory in the 1934 MacRobertson Air Race from London to Melbourne follows soon. Bonhams had a rather interesting little lot come up in its recent sale at the Grand Palais in Paris: the 1929 American Moth Corporation De Havilland 60GMW Gipsy Moth which featured in the seven-time Oscar-winning 1985 movie Out of Africa. This is the aircraft in which Robert Redford wooed Meryl Streep and director Sydney Pollack wowed audiences with the spectacular aerial footage of Kenya at its best. 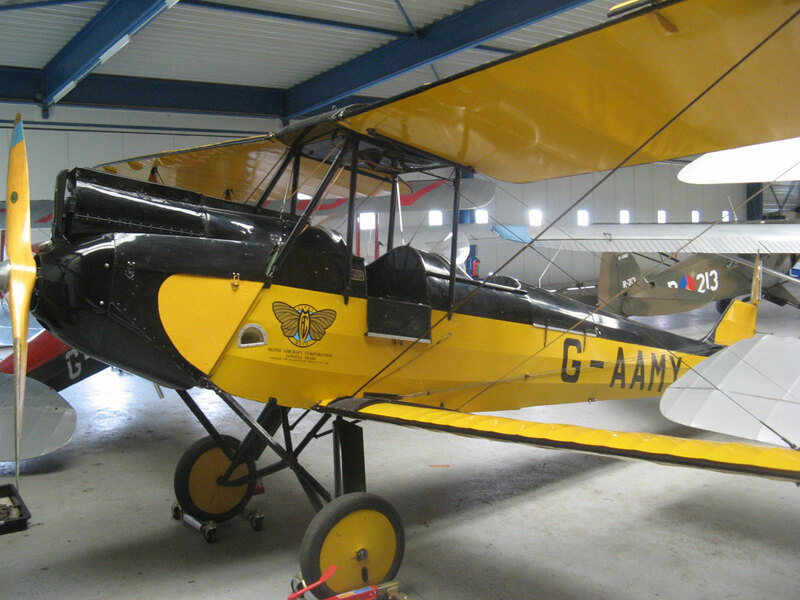 The little yellow and black Gipsy Moth was registered as G-AAMT for the movie, a registration given to a DH.60 Moth on September 16 1930 and ‘lapsed’ when the aircraft was written off barely two months later. 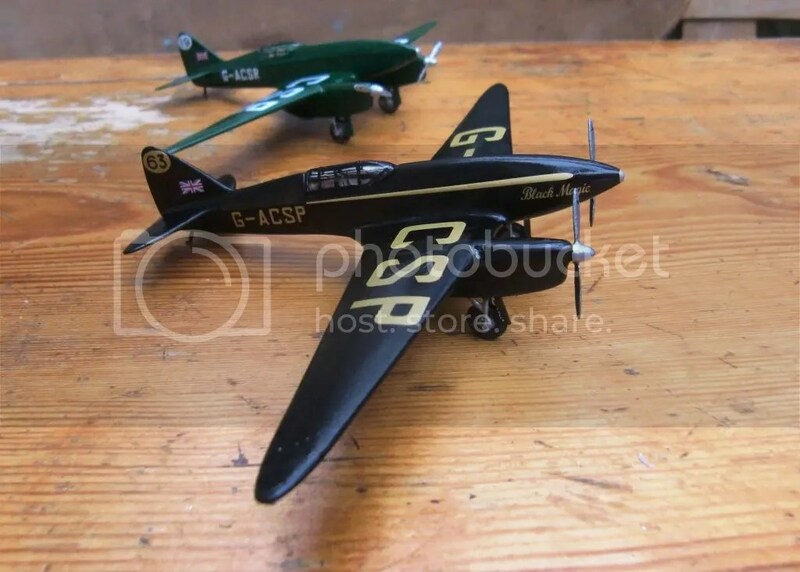 Wearing the registration G-AAMY not only to retain as much of its movie identity as possible but also to pay tribute to Amy Johnson, the American-built Moth sold for €201,250 to an anonymous Kenyan telephone bidder, held during the celebrated Rétromobile event. The sale set a new world record for a Gipsy Moth, and means that the aircraft will leave England after many years and return ‘home’ to Africa. … in fact there almost certainly are laws that were written with great precision and designed to prevent exactly this sort of behaviour! Unless you’re in New Zealand, apparently, in which case it seems one is free to enjoy the old fashioned charms of the Tiger Moth at whatever altitude you feel is applicable.In this instance the pilot seems to feel that treetop height is far too girly and is aiming for somewhere mid-shrub. This story begins in the upmarket Remuera district of Auckland, from whence hailed some of New Zealand’s finest exports including the racing driver and constructor Bruce McLaren and mountaineer Sir Edmund Hilary. Jean Batten was born here, the daughter of a dental surgeon, in 1909 and later attended a girls’ boarding school where she was inclined towards ballet and the piano. The Batten parents separated when she was still a young girl, prompting her mother to push her young daughter towards feminism and high achievement in preference to personal relationships. As even her most sympathetic biographer, Ian Mackersey, points out: she gained tremendous beauty in adolescence but became a ‘loner: a highly intelligent, solitary person whom few could warm to’. At the age of 19 Batten decided that she wanted to be a pilot, prompted by the wave of excitement that followed Charles Lindbergh’s solo crossing of the Atlantic. This clearly tallied with her mother’s expectations, and thus the older woman gladly complied with her daughter’s request to contact Australian record-breaking hero Charles Kingsford-Smith to request her first experience of flying. Kingsford-Smith was clearly happy to oblige, and so the remarkable Miss Batten travelled to Australia and there had her first flying lesson in his famous Fokker record breaker, The Southern Cross. In 1930 mother and daughter moved halfway round the world to London. Here, Jean was able to gain access to the thriving social whirl of sporting aviation while learning to fly at the London Aeroplane Club. Her aim was to qualify as a pilot and attempt to beat Amy Johnson’s new record from London to Australia, but to do so she would need a sponsor – and to gain a commercial sponsor she needed a commercial pilot’s licence. Salvation came in the form of Fred Truman, a young New Zealander who had moved to England to join the Royal Air Force. He had savings of £500 and this was enough to pay for a commercial licence – after which Batten broke off the ‘romance’. 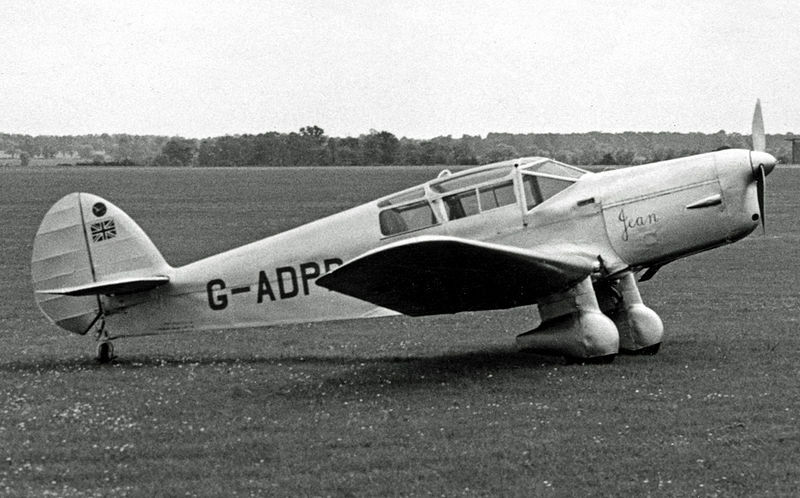 While Truman nursed a broken heart, Batten became involved with another young pilot, Victor Doree, who in turn borrowed £400 from his mother and bought her a de Havilland Gipsy Moth formerly owned by HRH the Prince of Wales. In this aircraft Batten made her first attempt on Johnson’s record in 1933, but the flight ended with a crash in Karachi. Batten returned to London and asked Doree to buy her another aircraft – but he refused, and broke off their relationship. Fortunately for Batten, the Castrol oil company had taken notice of her, and it presented her with a brand new Gipsy Moth to try again in 1934. Once again Batten crashed, this time in Italy. She returned to London and repaired the Gipsy Moth with parts from the similar aircraft of another new suitor – stockbroker and amateur aviator, Edward Walter. On May 8 1934 again she set off and on this occasion she made it to Darwin in 14 days 22 hours and 30 minutes, taking a full six day’s from Amy Johnson’s record. While in Australia, Batten met and fell in love with an Australian airline pilot, Beverley Shepard. This did not go down too well with her fiancee, Edward Walter, who promptly sent her a bill for the repairs to her aircraft. By now, however, Batten’s success meant that she could afford to both settle her bills and buy a new Percival Vega Gull monoplane. With it, in November 1935, she became the first woman to fly across the South Atlantic during her record-breaking flight from England to Brazil in just 61 hours and 15 minutes. A year later, Batten flew her Gull from England to Australia in just six days to obliterate her own record. She stayed in Australia waiting for good weather and then made the six-hour hop to New Zealand – her total time of just over 11 days being good enough to stand as a record for 44 years. Nevertheless, the relentless pace of her life took its toll and Batten suffered a nervous breakdown. She set off to be reunited with Beverley Shepard in Australia, only to be greeted by the news that he had been killed in a crash on the day she arrived. Batten was inconsolable, and disappeared from view for eight months. When she re-emerged, Batten flew the Gull back to England from Australia in just five days, becoming the first person ever to hold the record flying time between Britain and Australia in both directions. This was to be her final record-breaking flight. Batten remained in Britain and was active in raising funds for the RAF during World War 2, then spent the peacetime years travelling the world with her mother. They lived a curious life, moving mainly between islands in the Caribbean and Mediterranean where they would live in hotels or in cheap property. When her mother died, in 1965, Jean was bereft and became a recluse. Then, to the amazement of the world, she reappeared in 1969, looking fit and healthy – indeed a good deal younger than her 60 years. She was still beautiful, still a star and for a decade she toured television studios and lecture halls while making the most of the social opportunities available – before disappearing again without trace. Not until 1986 was she discovered. While living in seclusion on Majorca in 1982, Batten was bitten by a dog. The wound had become infected and, refusing treatment, she had died from lung failure. Not knowing who she was, the authorities had buried her anonymously in a pauper’s grave on the island. 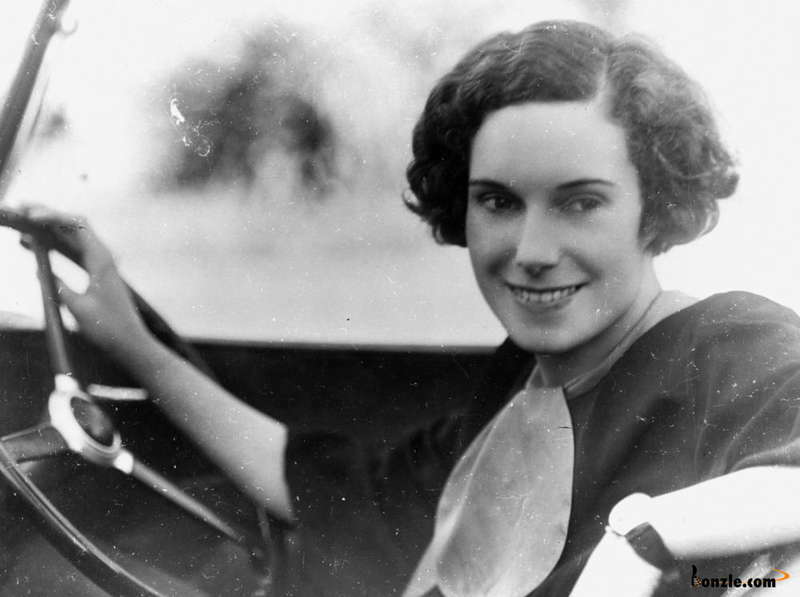 In her will, Jean Batten requested that her body be taken to London for cremation and her ashes carried to Auckland to be interred at Auckland International Airport. 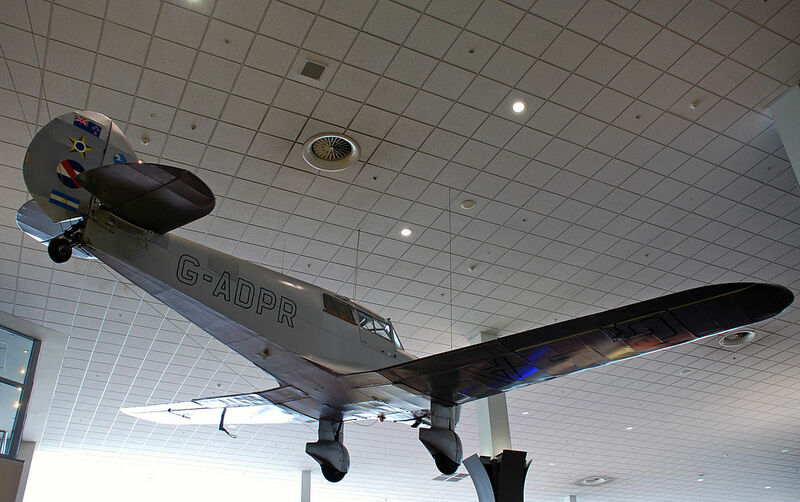 Due to the nature of her burial in Palma this was not possible, but her memory remains alive at Auckland’s airport in the Jean Batten International Terminal, where her celebrated Percival Gull hangs from the ceiling over the passengers who now daily follow the trail she blazed with such determination. After its super-successful advertising campaign, the AA – that’s Britain’s Automobile Association, rather than the other AA – has been known as the fourth Emergency Service… despite the protests of the lifeboatmen and other vital bodies. It has a long and glorious history as a lobbying organisation and roadside rescuer of multitudinous motorists – but there’s more to the AA than jump-starting stranded bangers. 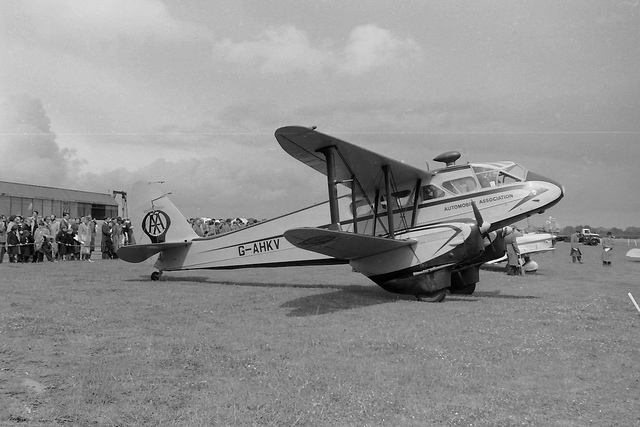 One thing that the AA has got tucked away in its history is a little legend in the form of its de Havilland DH.89 Dragon Rapide – surely the most glamorous airliner of its time, and right up there with Concorde for lifetime honours. A large-scale replica hangs overhead the diners partaking of sausage, beans and chips in the Brooklands Museum cafeteria, but what on earth was the AA doing with such a thing in the days before Transit vans? 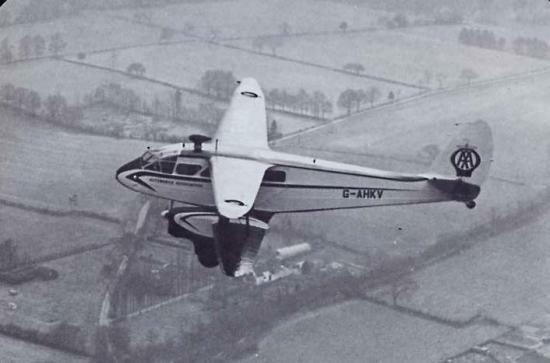 Built in 1944 as NR693, G-AHKV was demobbed from military duty and served with British European Airways from 1946. By 1954 Sky Neon Aviation was flying the aircraft at night over London with underwing neon advertising signs, which was doubtless rather a nervous occupation. Finally she was sold and re-registered to the Automobile Association in 1957. She joined the AA’s other ex-forces aircraft, the Auster G-APAA, for active service from its hangar at RAF Fairoaks, where G-AHKV became the AA’s most famous aircraft. Flown by wartime Mosquito pilot, Bill Lewis, she was used as a traffic spotter, monitoring congestion and incidents from the air. Updated to DH.89A Mk 6 specification, G-AHKV had sophisticated electrical and navigation equipment on board. She was also an air ambulance, repatriating AA members who had suffered accidents or illness while motoring in Europe, and also dropping supplies to snowbound villages in Scotland in the depths of winter. Her career with the AA lasted until 1963. Once again she was sold on and flown until her airframe hours had expired… then, sadly, she was burnt at Birmingham Airport in 1969. Nevertheless, the legend lives on whenever there’s a plate of sausages being devoured at Brooklands!